College Sports Journal announces their 2018 Fearless Prediction for the Order of finish of the Patriot League. 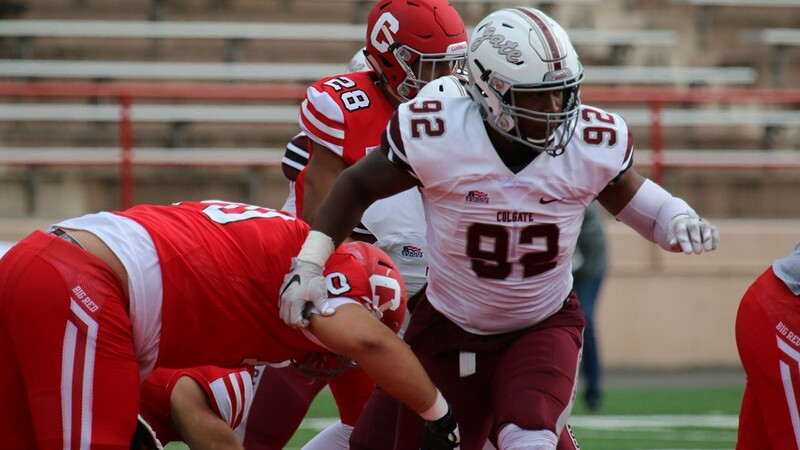 As co-champions of the Patriot League last season, the Colgate Raiders missed out on an at-large bid to the playoffs, but return most of the team that finished with a 7-4 record and are picked to win the Patriot League this season. Colgate is led on defense by preseason defensive player of the year DE Nick Wheeler, who notched 15 1/2 tackles for loss and making life miserable for Colgate’s opponents, keeping Raider opponents out of the end zone for the final 15 quarters of last season.